The 115th issue (March 2017) of The Man And His Music (TMAHM/EMM) arrived. As usual a few hours worth of reading, with several highlights. I liked the Tickle Me item most, if not for the pictures of Jocelyn Lane (boooo! too small! ), then for the dedication in Luther Moore's investigation of the possible re-recording of I Feel That I've Known You Forever. Personally I couldn't care less (but wake me up for a new song anytime), but I like that dedication! The Dark Side of 1973 is what it is... a summary of dark moments. The original interview from 1956 in Vegas is a good read too. As usual the reviews are both informative and entertaining and the other usuals like news and letters are present too. 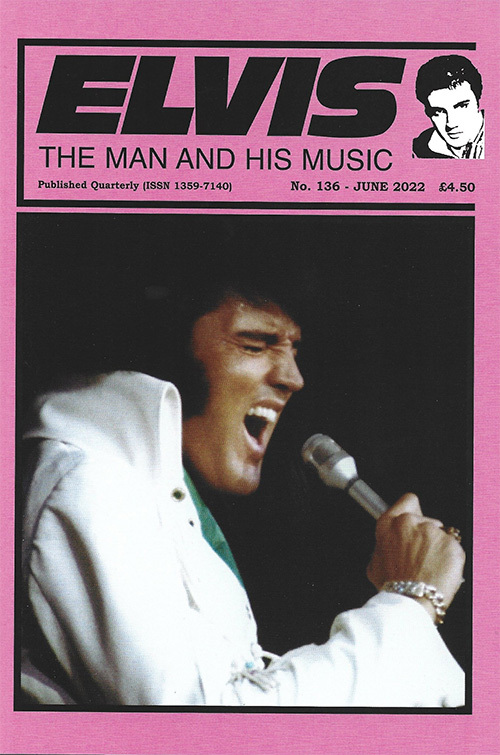 hello there , great mag but how oh how i miss elvis monthly , how long has it been ? ?